2017 was an active year for sales tax policy, and 2018 promises to be no different. One of the most contentious tax issues of recent decades – revenues related to online sales – is likely to reach a head this year and force a radical rethinking about how e-commerce is conducted. The problem is that with this issue and many of the other pressing sales taxes changes of the day, the future is unclear and uncertain. Companies know that new rules are coming, but the details and consequences are still being hotly debated. That forces companies to prepare for multiple potential outcomes simultaneously. Some of the key changes and questions being considered are outlined below. Keep these top of mind as you begin to prepare your 2018 tax strategy. Currently, online retailers like Amazon pay sales tax on their own sales but not on the marketplace sales that it facilitates. That is about to change in Washington state, and a bevy other states are pushing tax requirements forward, but there are almost as many different requirements as there are states. Sellers may be mandated to meet reporting requirements, establish a physical presence, or pay hefty back taxes. Is Consumer Use Tax Reporting Coming? Many states that do not currently require retailers to collect sales tax are either planning to or planning to put consumer use tax reporting requirements in place. The first state laws around this issue took effect in Colorado in 2017, and nine other states quickly followed the lead. More laws are coming, each with their own unique mandates, creating a sweeping new tax obligation for retailers to manage. Are Out-of-State Sellers on the Hook? A 1992 Supreme Court decision made it illegal for states to tax companies with no physical presence in the state. The court agreed this year to hear a challenge to that decision, creating the possibility of big new tax bills for companies that operate remotely. Further complicating things is a quartet of bills that all propose to close remote sales loopholes but through drastically different means. What Does Tax Reform Mean? The tax reform recently passed by Congress promises to have a broad and deep impact on US tax policy. However, exactly where, where, and how that impact will be felt is still entirely unknown. Whether positively or negatively, tax reform will only complicate all of the debates above while requiring a whole new approach to taxes generally. 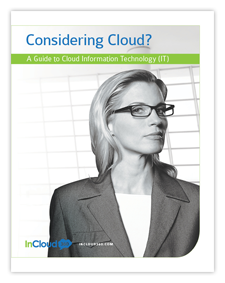 Each of these issues is discussed in-depth in a recent free white paper from Avalara. 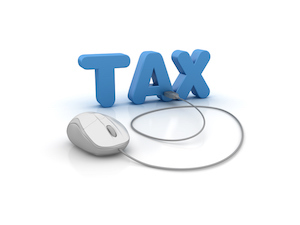 The company specializes in automating sales tax and compliance, and automation is more important than ever. Adapting to changes in the tax code is a time- and labor-intensive process with heavy consequences for error. A solution like Avalara makes adaptation automatic no matter what changes go into effect. When you’re ready to learn more about the advantages of Avalara, contact InCloud360.